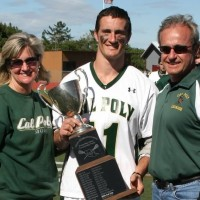 Matt Rudow (2008 – 2011): In the history of Cal Poly Lacrosse, there have been many tremendous players that have made major positive impacts to the team and the overall success of the program. Perhaps, no player has had a greater impact on the overall success of the program than Matt Rudow had in his Mustang career. Matt and his parents with the 2011 WCLL Championship Trophy. Matt joined the program in 2008 after a highly touted high school career at San Ramon Valley High School playing for legendary coach Peter Worstell. He had an immediate impact for the Mustangs, grabbing a spot on the 1st midfield line as a freshman and taking the majority of the team’s face-offs. He dominated on the draws throughout his playing career, not just winning control of the ball but frequently winning the ball to himself and becoming an immediate offensive threat. Matt led the team in ground balls all four seasons and averaged over 30 points a year on the offensive end. Matt was a complete player at a demanding position. He dominated at face-offs, played stalwart short-stick defense, and represented an imposing force on the offensive end. Matt’s accolades are fitting for a player of both his caliber and impact. In his 2008 freshman season, Matt was named a WCLL All-Star as a face-off specialist. In his sophomore year, he earned 2nd Team All-League midfield honors. He was a 1st Team WCLL All-League midfielder in both his junior and senior seasons, an honorable mention All-American as a junior, and in his senior year Rudow earned a 1st Team MCLA All-American award. Matt was just the second Mustang player to be named a 1st Team All-American, joining fellow CPLAX Hall of Famer Tim Casey in earning that national honor. Besides being a complete player and an opponent’s matchup nightmare, Rudow also had a well-earned reputation for seizing the big moments. His ability to carry the team on his back when things weren’t clicking offensively or to seal away a victory with a well-timed face-off win and unassisted goal was legendary. Matt was not just a talented player, but also a leader on and off of the field and a tremendous teammate. Matt was voted by his teammates as a captain for both his junior and senior seasons, and his dedication and ability to lead by example was a major contributor to the program’s ascendance to a national MCLA power during his playing career. He played a key role off of the field as well, serving as the Team President for his junior and senior seasons. He was also a key member of the 2012 coaching staff. Just months after finishing up his collegiate playing career, Matt came on board as one of the offensive coaches and the lead coach for face-offs. His efforts were instrumental in helping guide the 2012 team to a 4th consecutive WCLL league title and eventually all the way to the MCLA National Championship title game. 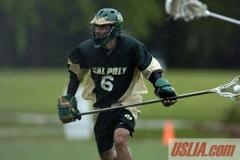 Cal Poly Lacrosse is proud to select Matt Rudow to the Hall of Fame in his very first year of eligibility. 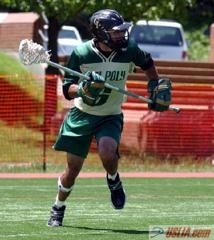 Kevin Flanagan (1997 – 2000): Kevin arrived at Cal Poly at a critical time for the lacrosse program. After a few rough years in the early to mid-1990’s, the team started a rebuilding process with the help of Head Coach John Lagoy during the 1995 and 1996 seasons. After the 1996 season, Coach Lagoy departed when his career took him out of the area and former Mustang player Marc Lea came on board as the Head Coach. Flanagan’s arrival that same year was critical for a young program on the rise. Kevin was a complete player who led by example; he was humble, hardworking, and really loved the game. He encouraged other lacrosse players and even non-lacrosse players that were good athletes to join the program and help build the program’s overall talent and depth. From his first day with the program, Flanagan was instrumental in solidifying the Mustang offense and improving the morale and work ethic of a young program striving to get better. Hailing from San Dieguito High School in Encinitas, Kevin came to Cal Poly with the experience of playing in the best high school lacrosse region in the state and he helped establish the connection between the Cal Poly program and the northern San Diego area lacrosse hotbed that would help build the foundation for the program’s future success. 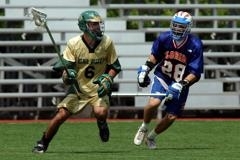 Kevin was a talented attackman who led the team in nearly every offensive statistical category throughout his career. He was an unselfish player who strived to get his teammates involved in the game, but who wasn’t afraid to carry the team on his shoulders when the game was on the line. Perhaps, this is best exemplified from a playoff game versus rival Chico State in his freshman season. It was 1997 and the Mustang squad was taking on the Wildcats in the old football stadium. Behind for much of the 2nd half, Kevin scored a goal with only minutes remaining to send the game into overtime. In the team huddle before the overtime period began, Kevin asked if overtime was sudden death (it was the first overtime game of that season and the first overtime game in Flanagan’s college career). When it was confirmed, that yes indeed it was sudden death, Kevin said “we’re going to win this game. Just get me the ball.” He wasn’t bragging – he was just being realistic. Kevin had been our primary offensive weapon that entire season. In our first possession, we got Kevin the ball, the double team came late, and he fired the winning goal in the top corner. Flanagan had four points on the day (3g, 1a), but more indicative of his overall impact is that he scored the final three goals of the game, including the game tying goal in the fourth quarter and the game winner in overtime. The list of Flanagan’s accolades and accomplishments as a Mustang is extensive. 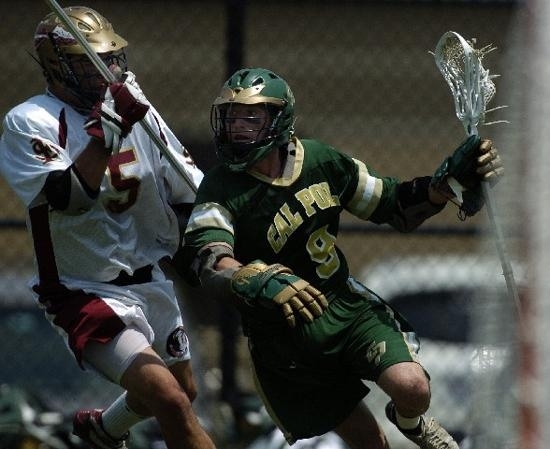 He was named captain in three consecutive seasons (1998, 1999, 2000), an accomplishment that has only occurred a few times in the history of Cal Poly Lacrosse. He was the team’s leading scorer in each of his four seasons and he received WCLL 1st Team All-League honors in all four of his seasons, another extremely rare accomplishment in the history of the program. Kevin was instrumental in the program’s overall success off of the field as well. He served as the Team President in 1999, and made major contributions in laying a foundation of success that the program continued to build upon after his graduation. It is with great honor that we name Kevin Flanagan as a 2016 inductee into the Cal Poly Lacrosse Hall of Fame. 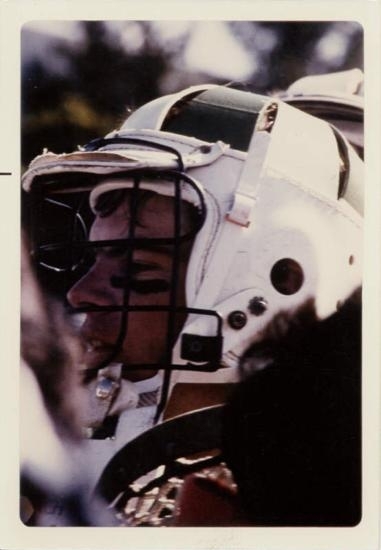 Hailing from Yorktown High School in New York, one of the most well renowned high school lacrosse programs in the country, Mike provided an immediate impact when he joined the team in 1990. He helped shape a misfit crew of inexperienced lacrosse players into a much more cohesive unit and provided tremendous leadership both on and off of the field. Mike was a complete midfielder who led the team in nearly every statistical category. Besides being the team’s main offensive goal scoring threat, he played tremendous defense, could run through traffic to gather up a tough ground ball, and dished out assist after assist to the attack and his fellow midfielders. The list of Cooney’s accomplishments is extensive. He was named captain in three consecutive seasons (1991, 1992, 1993), an accomplishment that has not been duplicated since his graduation. He led the team in scoring in both 1992 and 1993, and was also named the team’s MVP in both of those seasons. Mike received WCLL All-League honors in 1991, 1992, and 1993. The league honors in 1991 and 1992 were especially impressive since at that time the league had only one combined all-star team for both Division 1 and Division 2 teams. It was rare for players from Division 2 teams to be awarded All-League honors, and Mike earned that honor twice before the league created a Division 2 All-League team in 1993. Mike was also instrumental in the program’s overall success off of the field as well. He served as the Team President in 1991, and worked tirelessly to help find new coaches and keep the team on track when the head coach departed mid-season. 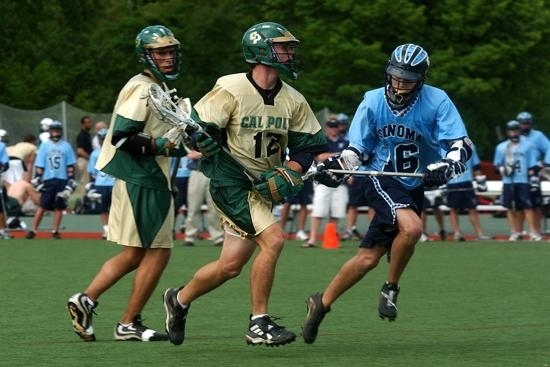 (2001 – 2004 player; 2005 – 2006 Assistant Coach; 2007 – 2008 Head Coach): It is our great pleasure to announce the induction of Aaron Myers into the 2015 class of the Cal Poly Lacrosse Hall of Fame. Aaron is unquestionably one of the best defenseman in program history and one of the most influential people to have been involved with the program.When Aaron joined the program in 2001, he brought an intensity and passion for the game that helped propel the program to new heights. Aaron was more than just a tremendous defenseman. Besides routinely drawing the assignment of covering the opponent’s best attackman, he helped anchor the clearing game, sparked the transition offense, and was the vocal leader of the defensive unit. Aaron earned a host of honors for his abilities and his dedication. In 2001, he was named the team’s Rookie of the Year. He was voted as a team captain for both his junior and senior seasons, as well as the team’s defensive MVP after the completion of his junior year in 2003. In his sophomore season in 2002, he earned 1st Team WCLL All-League honors and was also named 3rd Team USLIA All-American. He was named to the 2nd Team WCLL All-League team in both 2003 and 2004, and was also named to the USLIA All-American Honorable Mention squad those two years. As soon as his playing career ended at Cal Poly, Aaron stepped right into a key coaching role for his alma mater. He was the defensive coordinator in 2005 and 2006 and took over the head coaching role for the 2007 and 2008 seasons. 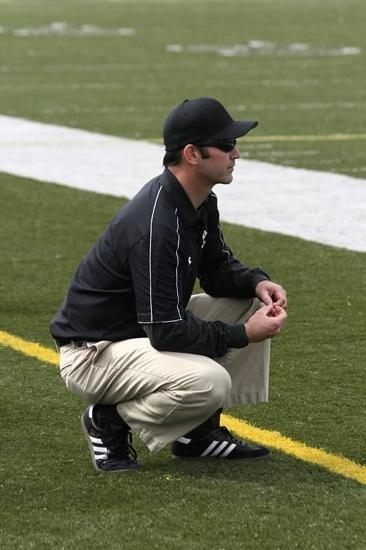 In his two seasons at the helm, Aaron compiled an overall record of 17 – 14 and laid the groundwork for the program to continue its ascent into one of the top MCLA teams in the nation. 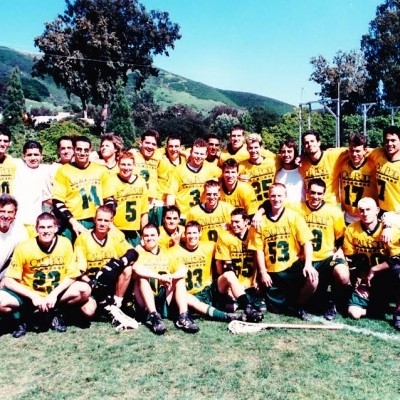 Aaron’s commitment to the game of lacrosse and promoting the sport on the West Coast has continued even after he left the sidelines at Cal Poly. Aaron has been a member of the Western Collegiate Lacrosse League executive board since 2008. He served as the league’s Vice-President from 2008 – 2013, and was named to his current position as the WCLL league president in 2013. 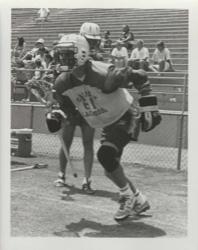 Bob Jones (1982-1985, player; 1986-1987 and 1990-1993, coach):When Bob joined the team, he immediately became the program’s best attackman and helped raise the level of play to an entirely new level. He was a wizard with the stick and could drive past his defender with a blazing first step. Bob was equally dangerous without the ball, and was a natural at timing a slashing cut across the crease to finish with a flair, quick-sticking a goal into the back of the net while flying in midair. Bob was extremely tough and excelled in all aspects of the game. With a motor that never quit, Bob was always willing to set a pick, provide an assist, battle for a tough ground ball, or sacrifice his body on the crease to earn a critical goal. After his playing days, Bob continued to give back to the program, serving as a coach for many years. With an enormous amount of patience and enthusiasm, Bob helped dozens and dozens of players new to the game develop into solid members of the Mustang lacrosse family. Bob was instrumental in holding the program together in the early 1990’s, including stepping in to save the 1991 season after the head coach left unexpectedly. Bob continued coaching in 1992 and 1993, alongside Pete Riolo, and helped the team continue to grow and improve. Over the years, Bob has served the Cal Poly Lacrosse program in countless ways, and the program is proud to welcome him into to the 2014 class of the Cal Poly Lacrosse Hall of Fame. 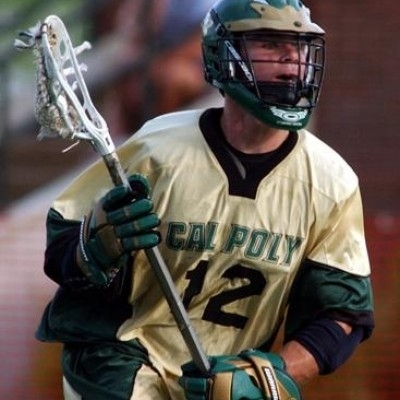 Sean Whitacre (1999-2003): Sean was an instrumental player during a pivotal time for Cal Poly Lacrosse. Sean arrived in Fall 1998 from Serra High School in San Diego and brought a sense of toughness and appreciation for hard work to the program. Over the course of his five years at Cal Poly, through hard work and countless hours of practice, Sean developed into one of most unstoppable offensive midfielders in the nation. With an impressive offensive arsenal added to his hard-nosed defensive skills and face-off ability, Sean became recognized as one of the most dominant and complete midfielders in the nation. Sean’s list of awards and credentials are impressive. Sean was named the Team MVP for both the 2001 and 2003 seasons and was twice voted as a Team Captain. In 2003, during his senior season, Sean had one of the best offensive seasons ever from a Mustang midfielder and was an instrumental part in leading the team to the MCLA/USLIA National Championship Tournament. That season culminated with Sean earning both 1st Team WCLL All-League and 2nd Team All-American awards. 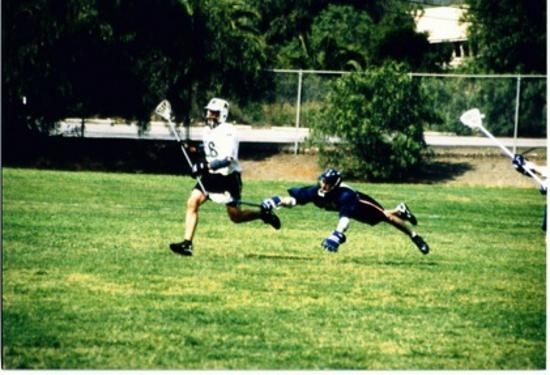 At that time, Sean’s inclusion on the 2nd Team All-American squad was the highest individual award in the history of the Cal Poly Lacrosse program. 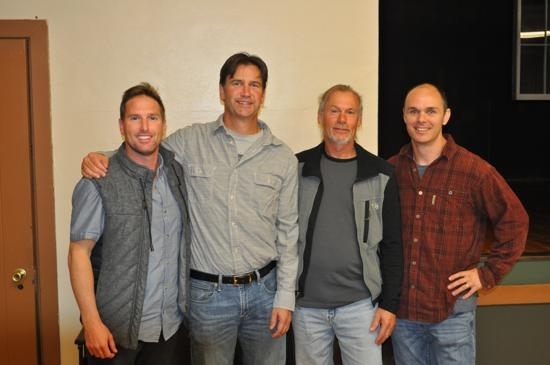 At the 26th Annual Cal Poly Lacrosse Alumni Weekend, the team inducted its inaugural Hall of Fame Class at a celebratory banquet following the alumni game earlier in the day. From the team’s founding in 1980 to winning WCLL championships in four of the last five years, CPLAX has made huge strides in the last 30-plus years. Our inaugural class honors founders, players, and coaches who were crucial to the survival, improvement and eventual dominance of Cal Poly Lacrosse. Scott Graham (1980-1985): ‘Scotty’ co-founded and then led the program as a player (goalie and midfielder), coach, and administrator during the team’s early years. A perennial all-star, Scott led Cal Poly to their first championship in 1982. Scott clearly set the standard for the hundreds of players that came after him! Marc Lea (1989-1993): An all-star midfielder during his playing days, Marc is coming into his 14th year as Head Coach for the Mustangs. During this time, Coach Lea has compiled a 142 – 71 record and has guided the Mustangs from a scrappy lower division club into a perennial power on the MCLA national stage. His success and dedication to the game have not gone unnoticed as Marc was named the WCLL Coach of the Year in 2001, 2010, and 2012, as well as the MCLA Coach of the Year in 2012! Rob Schwiers (1995-1998): Rob has been described as “the most dominant defender I have ever coached” by Coach Lea. A well decorated player, Rob was a perennial all-star that could take over a game with a key turnover, crucial ground ball, or even a clutch fast break goal. Rob was a leader on the field and off, serving as the club president and a player-coach who helped hold the club together during a tenuous time. Rob continues to contribute to the lacrosse community as an outstanding player and youth coach today! Tim Casey (2002-2004, 2006): Tim was an offensive force on attack and perhaps the most decorated player to play for Cal Poly. He was a Team Captain, Team MVP, and three time Offensive MVP. Most notably, Tim was the first CPLAX player to be named USLIA/MCLA 1st Team All-American! Tim’s effort and determination on the field were unmatched, and he was crucial in leading the program to perform at an elite level. Deadline to receive nominations is June 1st of the nomination year. Nominations can only be made via nomination form on website. Unlimited number of nominations – Hall of Fame Committee will determine the most qualified nominees. Only past and present Cal Poly Lacrosse players and coaches can submit nominations. After the inaugural class, the number of Inductees will be up to 2 per year. 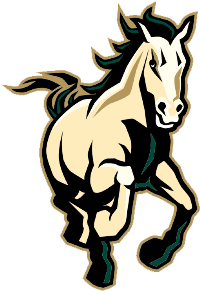 In recognition of how difficult it is to assess players from the earlier years of the program when statistics were not readily available, the Cal Poly Lacrosse Hall of Fame Committee reserves the ability to select a 3rd inductee in a given year if the player meets the extremely high standards of the committee. This selection will be used sparingly in order to maintain the select nature of the Hall of Fame, and when used, will be limited to those alumni who graduated more than 15 years prior to the induction year. The best qualified will be inducted, inductions will not be determined by when they played. Focus is on maintaining the exclusive nature of the honor. Inductees will be announced and inducted at Alumni Weekend of the induction year. 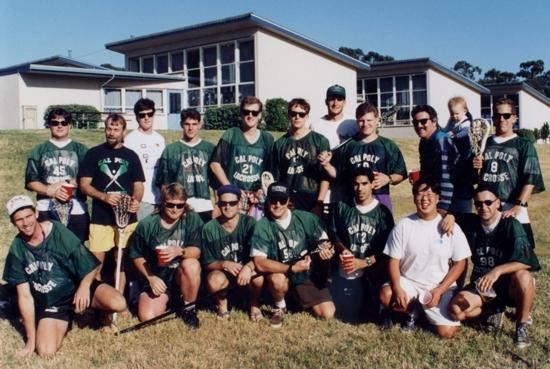 Any Inductee may, at his option, replace a current member of the Hall of Fame Committee from such Inductee’s generation, such that the Hall of Fame Committee continues to be represented by a maximum of two members from the different generations of Cal Poly Lax set forth above.